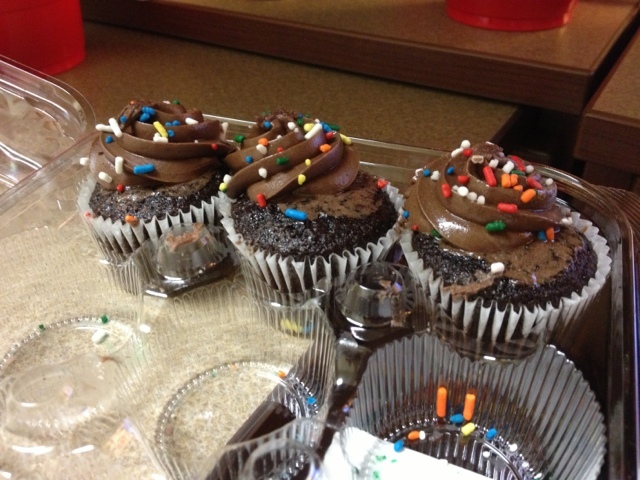 Random Fact #3: Three mini chocolate cupcakes from Publix make up one serving. One serving of mini cupcakes is 250 calories. Based on a 2000 calorie per day diet, one serving of these cupcakes is one eighth of your calories for the day. Today I have eaten... more than three. No, I didn't eat the entire box! I brought these to a party. Even I'm not that silly, you guys.